I highly recommend visiting Boston with kids. We recently traveled as a family to see the highlights over a long weekend. 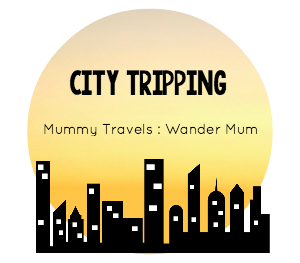 Here is a list of sights and activities that we explored and loved during our trip. 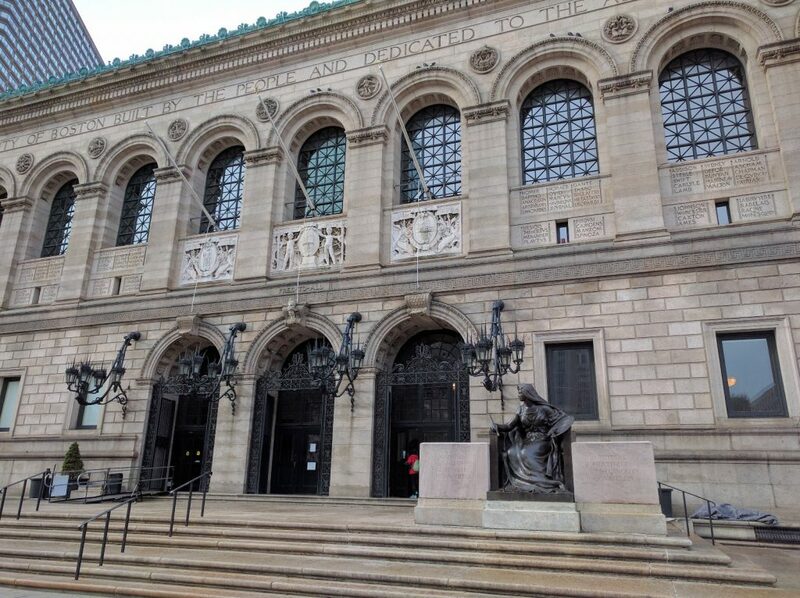 If you want to know my exact Boston itinerary check out this article instead. Boston is also a great city to find food. You can read about all the delicious places we ate, too. Since the trail is about two-and-a-half miles total we split touring it into two days. Exploring the Freedom Train in Boston with kids can be a lot of walking for little legs. Along the red brick trail you pass 16 historic sites. 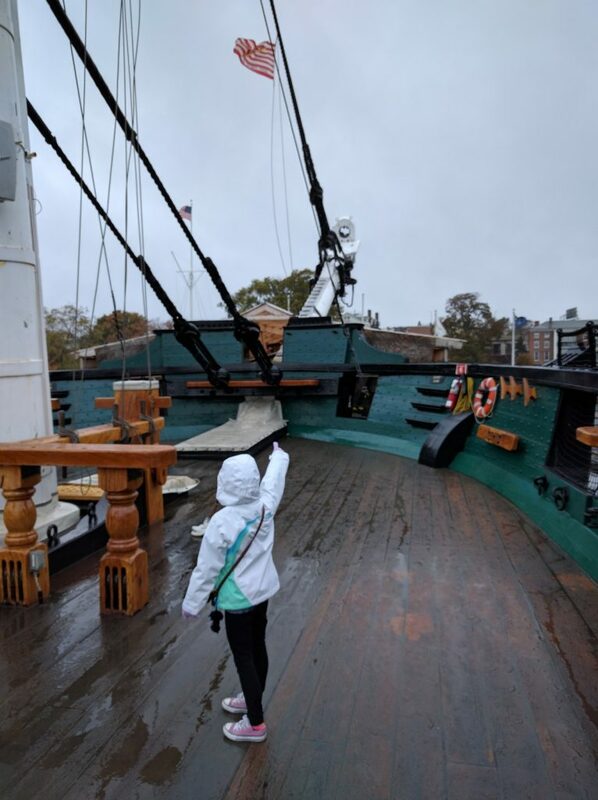 The first day we did a guided tour up to Faneuil Hall. This meant we saw several sights along the trail including Granary Burying Ground (where Sam Adams, John Hancock, and Paul Revere are buried), the site of the oldest public school in America, Old South Meeting House where discussion on what to do with the tea from England led to the Boston Tea Party, and the site of the Boston Massacre (which was only 5 people killed by British soldiers, but sparked additional fervor to leave England). Boston Common is the oldest public park in America dating back to 1634, and predates Central Park in New York City by over 200 years. 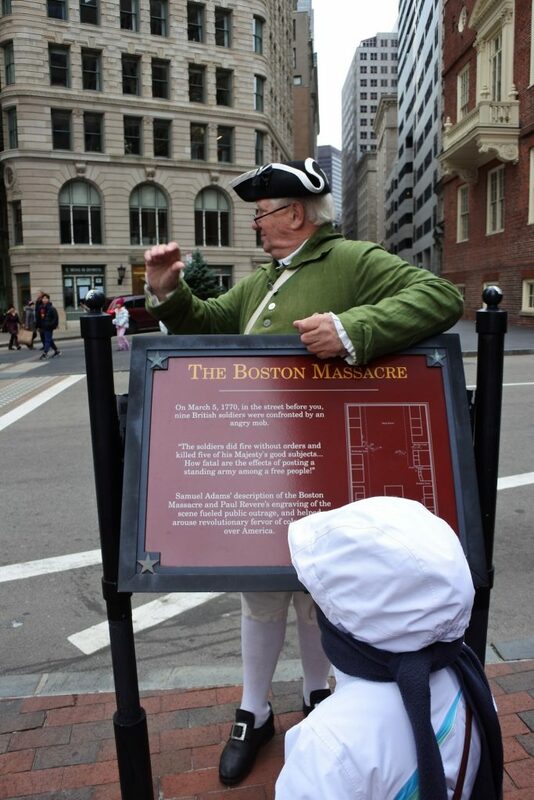 At the visitor center (139 Tremont Street, Boston, MA) you can sign up for same day guided tours. We pre-purchased ours through Groupon (Thanks, Dana, for the great tip!) and met our tour guide right outside the visitor center. 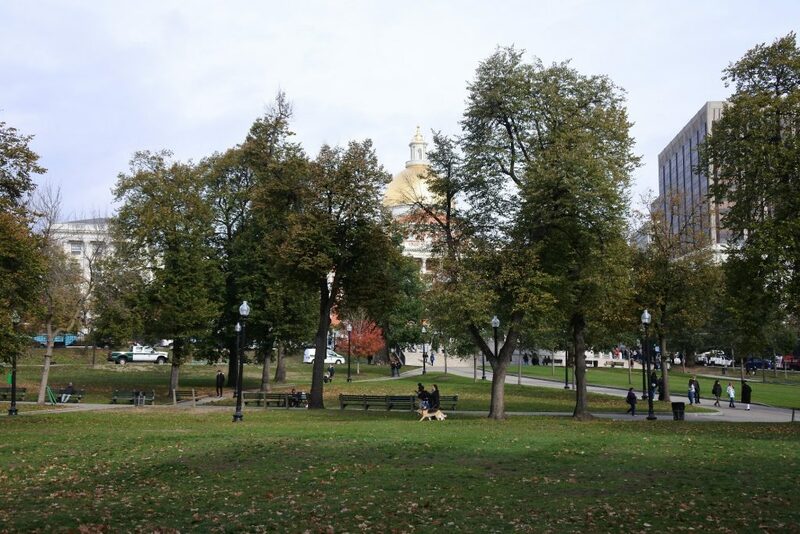 This is a beautiful park located right next to Boston Common. 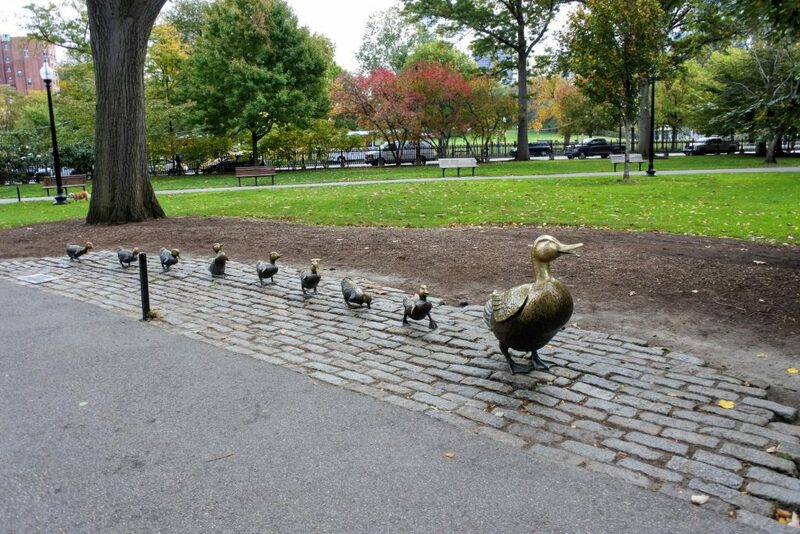 Here you will find the bronze statues of Mrs. Mallard and her 8 ducklings from Make Way for Ducklings fame. The book is about two ducks who are looking for the perfect home to raise their ducklings and after much searching decide on Boston. 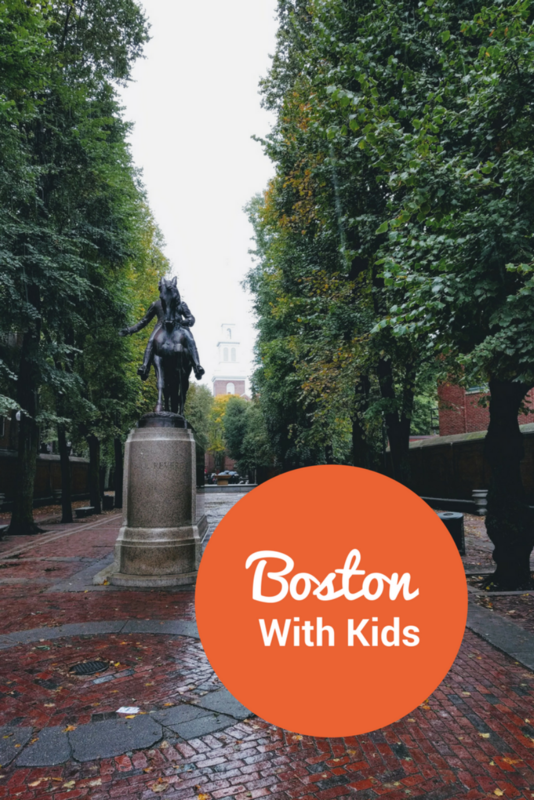 It is a fun story and also a great primer of Boston sites for your kids. Elizabeth had discovered the book in kindergarten and borrowed it from her teacher’s library often. In preparation for the trip I bought the book (buy it from Amazon) and surprised her with it the night before we left. Beautiful architecture for the adults (and kids) and a huge children’s library for the kids to explore. Good overview of the city with bad joke telling Con-duck-tors. Half of the tour takes place on land and the other half takes place in the Charles River. In the same vehicle. It’s an awesomely unique way to travel. 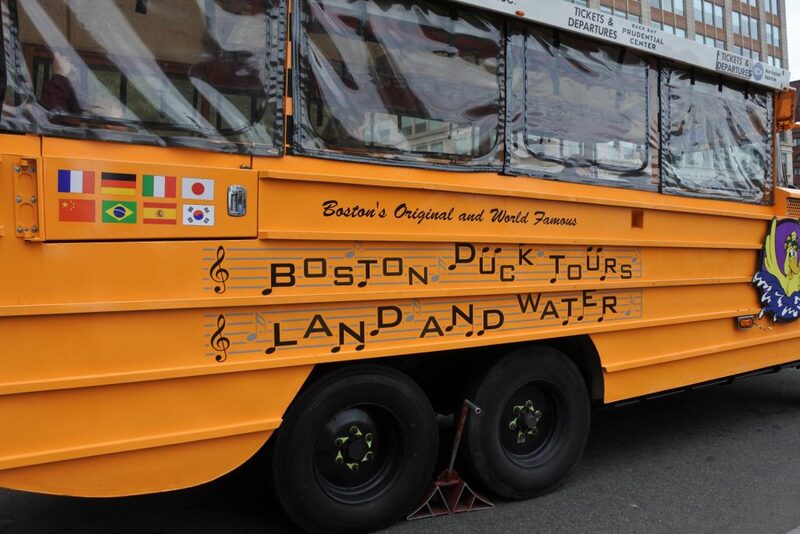 Bonus – kids (or kids at heart) can have the opportunity to pilot the duck in the Charles River! 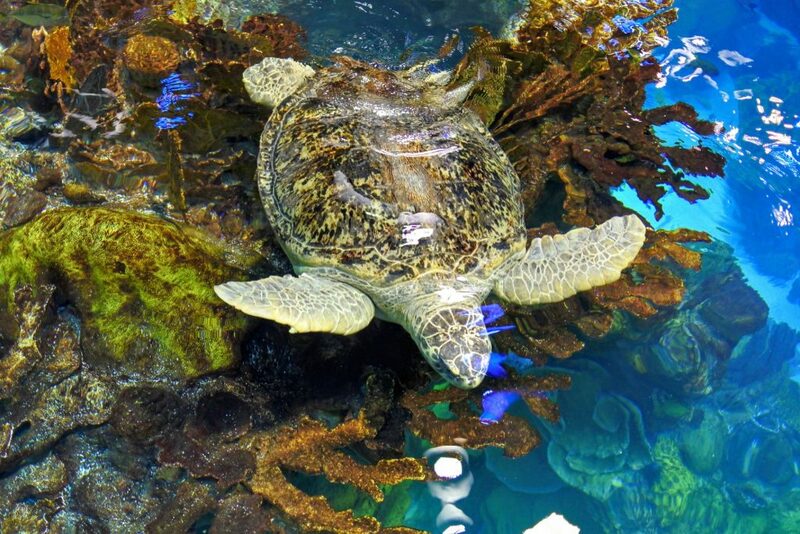 Highlights include a chance to touch stingrays, sea stars, hermit crabs, and sea urchins, a huge multi-story tank full of fish and Myrtle the turtle. 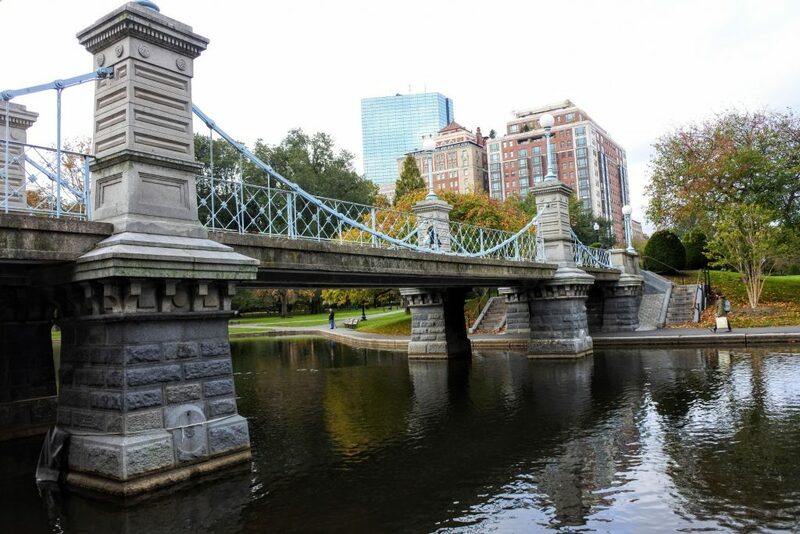 Boston is a vibrant, walkable city with so much to do! Despite this being the worst weather I have ever encountered on vacation I absolutely loved the trip! If that doesn’t convince you that Boston is worth a visit I don’t know what would. There is so much to see in this beautiful city that we can’t wait to plan our return trip. I’ll just make sure to plan it during better weather! Check here for a full 2 day itinerary or to see what we ate during our visit. I loved Boston! We only had a short stopover last time we were there, definitely time to head back and show the kids. Thanks for the great tips! I’ve lived in Boston about 17 years ago for 6 months (I’m from The Netherlands) while doing an internship. I’m sure it’s changed lots, but I used to love it there. Great tips! Hopefully I can show my little boy around Boston some day.